With autumn right ahead of us, Dallas homeowners should be preparing their house for the change of seasons. As the weather starts to shift, it’s important to take a close look at various aspects of your home to ensure you’re not going into Fall or winter unprepared. There are quite a few aspects of your home that you can check yourself without calling in a professional, however, if you do see something suspicious, it’s important to get an experienced home maintenance company, such as a reputable home foundation repair company, to confirm your findings before the issue persists. 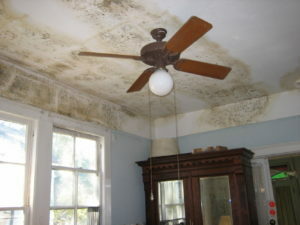 Mold can be an indicator of excess moisture within your home, which is a known cause of foundation issues. You should always have a foundation evaluation done if you find mold issues to ensure that it is an isolated incident and not a symptom of a much bigger moisture issue. Homes constructed with pier and beam foundations are particularly susceptible to mold and mildew problems. You’re going to want to check all of the gutters and downspouts around your house to ensure there are no clogs, which could lead to a leaky roof if left unattended. It’s equally important to make sure your drainage systems aren’t clogged and are functioning properly. This is especially important throughout fall, as leaves and twigs will start to accumulate in your drains at a faster rate than other seasons. Checking your gutters is also an important factor that relates to your home’s foundation – in addition to keeping them debris-free, you also will want to ensure that the downspouts and gutters don’t point directly downward towards the base of your house, as that could dump a lot of excess moisture under and around your foundation. 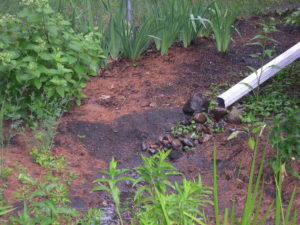 In the event your home would benefit from the installation of a French drain or surface drainage system, enlist a professional to install one or both.Water is a major source of foundation trouble. If you live in Dallas, moisture could have negative effects on your foundation due to the expansive clay soil found in the metroplex. It enlarges in volume when wet and can do serious harm to your house foundation. The placement of your exterior foliage and landscaping can affect your foundation if not maintained correctly. Now is the time to check for any roots or plants that are too close to your home’s foundation and cut them back before the winter weather sets in. Check out HD Foundation’s blog about how to properly landscape with your home’s foundation in mind for more tips! Something that is often forgotten, but does have a significant effect on your home’s foundation if not addressed, is the grade around your home. What this means is that you should take a look at what kind of slope the soil takes near your house – does it slope downwards towards the house, or away from it? In order to avoid moisture from pooling around the base of your home, thereby exposing your foundation and the soil around the foundation to excess moisture, the grade level should slope away from the home – this will direct all large amounts of water away from your house. If you have found foundation damage on your Dallas-Fort Worth home, contact HD Foundations for professional foundation repair today.